It is really easy to be tempted to buy a Chromebook due to its inexpensive price tag, outstanding portability and impressive looks. However, do Chromebooks offer any real advantages over traditional Windows or Mac computers? Let us get started and find out. Listed below are only the advantages of Chromebooks, it is recommended that you also read about ‘Disadvantages of Chromebooks‘ in order to get an overall picture of this new breed of computers. With Chromebooks you are practically good to go as soon as you get hold of a Chromebook in your hands. There is no need to install any software and no setup is required. In comparison, traditional Windows computers need to be loaded with Microsoft Office, Antivirus software and often need to be upgraded to the latest version of Windows OS. To make this more clear, in the case of Chromebooks all the required software resides on Google’s Cloud Servers and practically nothing resides locally on a Chromebook. Whereas, in the case of traditional computers all computing is done within the machine and hence all required software needs to be loaded and made available locally on the computer. In the case of traditional laptops you will be spending money to buy and later on upgrade Windows OS, Microsoft Office and Antivirus Software. With Chromebooks, there is no need to buy any Antivirus Software or Microsoft Office Program. Google takes care of providing security and malware protection for your Chromebook. Also, Chromebook users can make use of Google Docs, Google Sheets and other Microsoft office like programs, available for Free on Google Drive. In the case of traditional computers, you are often required to check for software updates and install them as they become available. With Chromebooks, there is no need to worry about checking for updates and installing them. Chromebooks are well set up to automatically check for updates every time you turn on the computer and apply software updates and security patches as soon as they become available. This is really a good feature in Chromebooks which ensures that users are always up to date with the latest software updates and security features. Another key advantage of Chromebooks is that you are never in danger of losing your work. Unlike traditional laptops, Chromebooks do not store your work and settings locally. All user preferences, apps, your documents and all your data is saved on Google Drive. This means you will not lose your files and data even if your Chromebook is damaged. In the worst possible case, if your Chromebook is lost or stolen, you can immediately get access to all your files by just logging in to your Google account from another computer. You will find all your files intact and saved up to your last keyboard stroke. Imagine the same scenario with a traditional Windows laptop or a Mac, you will end up losing all your files, data and pictures in case your computer is stolen, lost or suffers accidental damage. Chromebooks feature Google’s built-in multi-layered protection which includes automatic updates, verified boot and localised data encryption. Adding further protection, Chromebooks are designed to boot up in ROM mode and connect to apps stored on Google cloud servers in a sandboxed mode. It will be extremely difficult for ordinary hackers to get around this kind of setup. Chromebooks are ideally suited for use in Schools and Work Places where multiple users will be using the same machine. Since nothing is saved locally on a Chromebook, there is no danger of user files getting mixed up or getting accessed by others. Multiple users can safely make use of the same Chromebook and they will still find all their individual settings, files and work saved in the same condition as it was when they logged out of the Chromebook. Parents can set up supervised accounts to protect, track or limit online activity of their kids. The same Chromebook can be used by adults with different settings and more privileges. There is no danger of Kids accessing the parental settings and files, they will be seeing and accessing their own files and settings whenever they login to their supervised accounts. In the case of traditional computers you will need to be in possession of your own personal computer in order to access your files and data at a given point. With Chromebooks all your data is stored on Google Drive and will be always available for access from any computer. You don’t even need your own computer to access these files. No matter where you are, you are guaranteed to have access to all your files and data as long as an internet connection is available. Google provides 100GB of Google Drive storage, free for two years to buyers of new Chromebooks of all brands. After the expiry of 2 years, all your files, pictures and data will still remain in Google Drive. You can always access, download, or share these files but you won’t be able to load additional files, unless you buy more storage. In general, Chromebooks are lightweight compared to Windows laptops. This is due to lack of big storage drives and other hardware in Chromebooks. In comparison, traditional Windows laptops carry larger storage drives, processors and hardware to support on-device processing of software programs and data. Chromebooks have a better battery life compared to regular laptops. In general, you can expect up to six hours or more battery life on an average Chromebook. Traditional laptops provide an average of 4 hours in terms of battery life. However, this is changing as newer releases of Windows laptops are coming with improved battery life, matching those of Chromebooks. In general, Chromebooks cost less to buy and maintain, compared to traditional laptops. 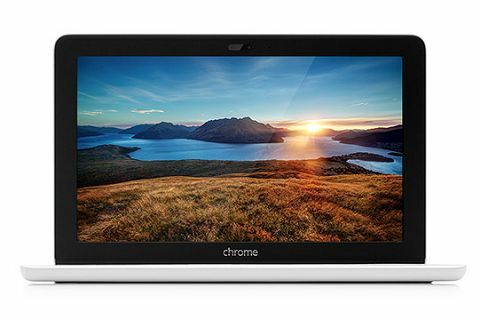 Once you buy a Chromebook you are practically ready to go, you will not be spending money on antivirus software or productivity software programs like Microsoft Office.